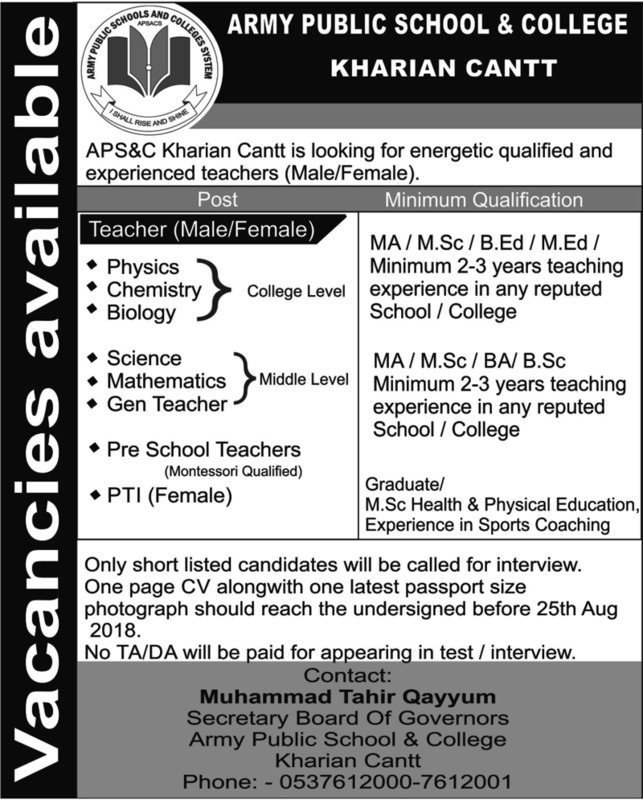 Army Public School And College Kharian Cantt is looking for energetic qualified and experienced teachers (Male/Female) for Army Public School And College Kharian Cantt Jobs 2018 . MA/M.SC/B.ED/M.ED/ Minimum 2-3 years teaching experience in any reputed School / College. Graduate/ M.SC Health and Physical Education, Experience in Sports Coaching. One page CV along with one latest passport size photograph should reach the undersigned before 25th Aug 2018. No TA/DA will be paid for appearing in test / interview.